February has arrived and it's brought with it the very first Nintendo Download update of the month. And it's a huge haul too, with all sorts of new digital editions being uploaded across Nintendo's various eShops. As usual, your friends at Nintendo Life have gathered together every new game, piece of DLC and fresh deal on the European store fronts. Dandara (Long Hat House, €19.99 / £17.99) - Welcome to a unique 2D platformer full of mystical creatures and boundless exploration. Defy gravity as you jump across floors, walls and ceilings alike. Discover the mysteries and secrets hidden throughout the world of Salt and its diverse array of characters. Empower Dandara for combat and survival against enemies bent on oppression. 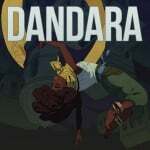 Dandara will be available on Feb. 6. 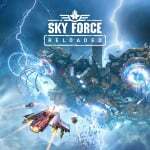 Sky Force Reloaded (Infinite Dreams, €9.99 / £8.99) - Sky Force Reloaded is the spirit of the classic arcade shoot ‘em ups, captured with modern visuals and design. New entry in the series will keep you entertained with all the things you’ve came to love in scrolling shooters. Meaty explosions, incinerating lasers, colossal bosses and diverse aircrafts to pilot. Read our review. 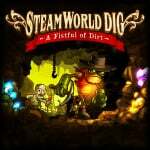 SteamWorld Dig (Image & Form, €9.99 / £8.99) - SteamWorld Dig is a platform mining adventure with strong Metroidvanian influences. Take the role of Rusty, a lone mining steambot, as he arrives at an old mining town in great need. Dig your way through the old earth, gaining riches while uncovering the ancient threat that lurks below... Read our review. 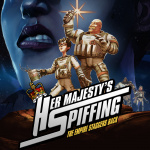 Her Majesty's SPIFFING (Billy Goat, $9.99) - Assuming command of the near futuristic space ship HMSS Imperialise and her crew YOU will venture into the cosmos, solving puzzles, engaging in witty banter, deal with crippling claustrophobia, gradually succumb to the sustained exposure of cosmic radiation and so on, all for Queen and Country. Read our review. 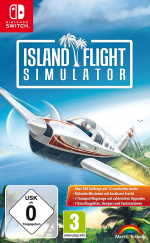 Island Flight Simulator (Caipirinha Games, €9.99 / £9.99) - Enjoy fantastic open-ended gameplay, touch down in the tropics and transport freight between twelve exotic islands in more than a hundred exciting missions. Only the most daring pilots will take the risk of accepting both highly lucrative and illegal missions from shifty clients. 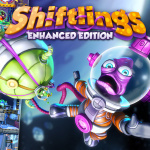 Shiftlings - Enhanced Edition (Rock Pockets, €9.36 / £8.46 until 15/02/2018, 23:59 local time - regular price €12.49 / £11.29) - Shiftlings is a colorful puzzle platformer with a twist! You're controlling two quirky custodians who are tethered together; one large and one small. Play alone or work together with a friend to run, bounce and swap size through 55 challenging levels. 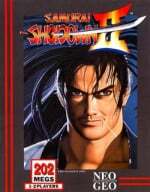 ACA NEOGEO SAMURAI SHODOWN II (HAMSTER, €6.99 / £6.29) - The game features 12 swordmasters, each with their own unique personality. They will battle it out among each other before taking on Shiro Tokisada Amakusa in the game's climax. One of the unique characteristics of this game is the Rage Gauge which fills up as the player takes damage. Once that gauge is full the character's attacks do more damage, keeping the battles tense and exciting. Read our review. 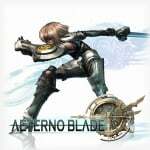 AeternoBlade (Corecell Technology, €14.99 / £13.49) - In the region of Awelsia, vengeful Freyja travels with an unknown weapon called 'AeternoBlade'. Freyja looks to take revenge on Beladim, the Lord of the Mist who destroyed her village, Ridgerode, and killed her tribe. Her vengeance is helped by Vernia, who has as much merit as Beladim. Vernia taught Freya about the abilities of AeternoBlade. Freya has to venture into many different world dimensions to discover how to annihilate Beladim. Demo version also available now. 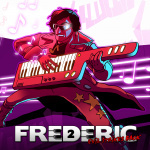 Frederic 2: Evil Strikes Back (Forever Entertainment, €4.49 / £3.59 / until 15/02/2018, 23:59 local time - regular price €4.99 / £3.99) - Defeat famous opponents in musical duels. Immense yourself in fantastic story of Frederic's endeavors. Catch all the Easter Eggs and subtle parodies hidden in the background. Practice your skills until perfection and become the Master of the Piano. 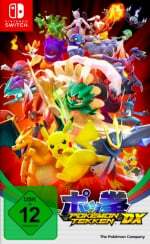 Pokkén Tournament DX Battle Pack: Wave 1 – The Pokkén Tournament DX Battle Pack grants immediate access to Avatar items upon purchase and two waves of DLC as they are released. (The full game is required to access the DLC.) The Battle Pack contains two new Battle Pokémon and two new Support Pokémon Sets. With these Pokémon joining the fray, the battle is just getting started. Wave 1 launched on Jan. 31 and contains Battle Pokémon Aegislash, a new Support Pokémon set featuring Mega Rayquaza and Mimikyu, and additional Avatar items. Wave 2 releases on March 23 and contains Battle Pokémon Blastoise, a new Support Pokémon set featuring Mew and Celebi, and additional Avatar items. Minecraft: Nintendo Switch Edition: Moana Character Pack (Mojang, €2.99 / £2.39) - Set sail with Moana, Maui and all the crew from Motunui. How far will you go in Minecraft with this adventurous character set? You’re welcome! 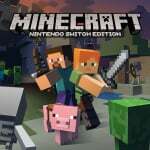 Minecraft: Nintendo Switch Edition: Skin Pack 1 (Mojang, €1.99 / £1.59) - Customize your character with this selection of stunning skins! AeternoBlade: Arena Mode (CORECELL, €1.99 / £1.79) - Allows you to play Arena mode. AeternoBlade: Agent Costume (CORECELL, €0.99 / £0.89) - Agent costume for Freyja. AeternoBlade: Assassin Costume (CORECELL, €0.99 / £0.89) - Assassin costume for Freyja. AeternoBlade: Bikini Costume (CORECELL, €0.99 / £0.89) - Bikini costume for Freyja. AeternoBlade: Ninja Costume (CORECELL, €0.99 / £0.89) - Ninja costume for Freyja. AeternoBlade: Time Guardian Costume (CORECELL, €0.99 / £0.89) - Time Guardian costume for Freyja. AeternoBlade: Vernia Costume (CORECELL, €0.99 / £0.89) - Vernia costume for Freyja. NECROMANCER (Konami, €5.99 / £5.39) - Necromancer is a horror RPG released for the TurboGrafx-16 in 1988. You are a hero who heads out on an adventure with two other allies in order to search for the Evil Holy Sword "Necromancer" to defeat an evil force that is about to take over the Kingdom of Ishmaelia. Battle Chopper (Konami, €5.99 / £5.39) - Fly through each stage and destroy enemies in your path. Shoot the "bricks" located throughout each stage, to reveal crystals. Pick-up the crystals to get money for different weapons and power-ups. Spend wisely! A boss awaits you at the end of each stage. Defeat the boss to move on to the next stage. ImageFight (IREM SOFT, €5.99 / £5.39) - Irem's shoot 'em up game is back! First, clear the five battle simulation stages created by the Image Projector and master the advanced techniques of piloting the Daedalus. To pass the training courses, clear the levels with a score over 90%. Passing means you can get out there for the real thing: three stages of real combat in space! Make good use of the Pod system, too, with original techniques like the Pod Shot and Rocket Fire in your arsenal to challenge any aliens who think Earth is going to be easy prey! ImageFight II (IREM SOFT, €7.99 / £7.19) - This vertically scrolling shoot 'em up is the sequel to Image Fight, originally released on PC Engine. Three years after the Moon War, an alien force has come out of the Sagittarius sector of space and has turned its gaze on Earth. It's up to ace pilot Show Sawamura to take control of the OF-1 Daedalus and the OF-3 Garuda and take this new threat head on, training in fierce "image fights" conducted in the virtual world. ZIG ZAG GO (RCMADIAX, €1.49 / £1.39) - Shapes on the go with ZIG ZAG GO! Use the touch screen to switch directions quickly and avoid oncoming shapes. Endless fun for everyone! Radiant Historia: Perfect Chronology – Demo Version - Unlock the time traveling power of the White Chronicle once again in Radiant Historia: Perfect Chronology. This beloved classic is an expanded from the original Nintendo 3DS™ game and contains a great deal of added gameplay/story content, updated presentation, and new ways to experience the adventure! Interested in Night in the Woods, also got Celeste from last week. 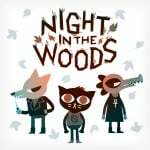 Will there be a review of Night in the Woods on this site? As Nintendo Life haven't bothered to put up 'sales' info, here's the new Nintendo Switch sales for those of you in the UK. 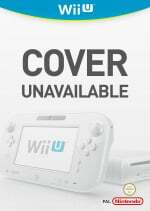 If you want them in euros or want to know the sales on 3DS and Wii U, check out the EU downloads post on Nintendo Everything. 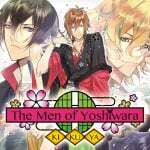 'Nothing for me this week' still MIA, and no details about eShop sales. V. poor, NL. "The EU eShops have been updated, and with have all the deets"
If the new editor put half as much effort into this site as he does with his TechRadar articles (which are PS4 and PC-based), NL would be in a much better state since Tom left. Secondly, there's a free Chibi home theme for Radiant Historia: Perfect Chronology on the 3DS theme shop right now. 25% off Brawlout, as well as the patch releasing very soon, is where I am to put my money. Hopefully it is a decent "just one match" game that is good to have with you, in case of emergencies. Nothing for me this week. I'm still waiting for a sale on Sonic Mania. Or should I give up on waiting and buy it full price? No Crypt of the Necrodancer for Europe? 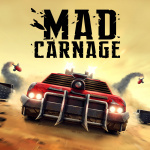 Mad Carnage any ... good ... ish? 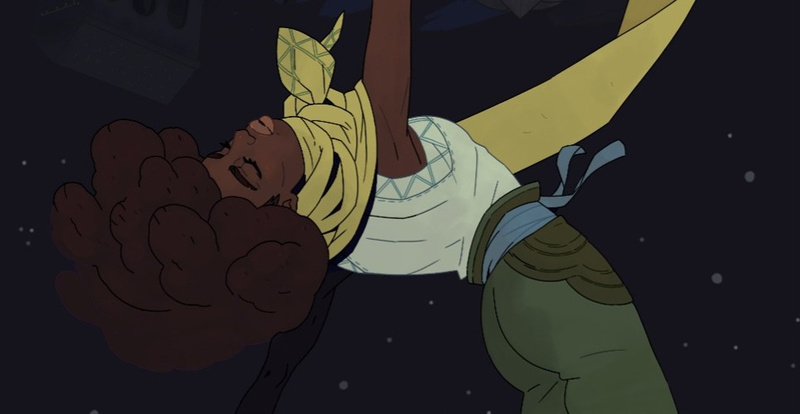 Pre-ordered Dandara to take advantage of the sale so I'll try that at this point. Been playing a bit of Crypt of the NecroDancer which I grabbed from the Japanese eShop earlier and I'm pretty interested in giving Night in the Woods a go. I'll also likely grab SteamWorld Dig sooner or later just for the sake of having it on my Switch. "Nothing for me this week." If you want the full details of today's Press Release check out my post in the forums earlier. Mmm Dandara... seems good... what do you guys think about it? Interested in Dandara and Samurai Shodown 2. Nice to see a visual novel as well. I have my hands full at the moment so I'll be skipping this week. There are couple more games coming out next week that I'm interested in as well (Crypt of the Necrodancer and Gal Metal) but I really have to stop buying games before I've finished the ones I already have. I'm currently playing Celeste, Darkest Dungeons and Xenoblade Chronicles 2 and I already have lots of Switch games I haven't played enough or started at all. So many games, so little time. Whats with the sloppy spelling mistakes on several articles as of late? Although I am not an English professor, its very just amateur hour and shows you guys don't care about the job involved. ImageFight II and Mr Heli, eh? What a nice surprise. Going to download sometime down the line. The shooter genre is going through a very nice revival. Really hope we see the Cho Aniki games. Picked up Steamworld Dig, that's about it. @SLIGEACH_EIRE I agree the nothing for me option should be there. I also don't understand why we are now limited to 3 choices. Lastly, we used to get a nice little summary of the review ....we gave it a minor recommendation in our review here. I miss that! Oh and yeah...Nothing for me this week. Gonna get SteamWorld Dig (even though I ended up getting it on the Wii U after completing SteamWorld Dig 2 on the Switch and loving it so much). Is it sad I'm really looking forward to having SteamWorld Dig, SteamWorld Dig 2 and SteamWorld Heist all on one console? I'll get them icons next to each other, take a screenshot and feel proud... for a second and then be like "why am I buying this game again?!" And it's at 20% off until feb 5th, so it's 12€, not 20. @RichFG If you hold off on Sonic Mania for several more months, you'll probably be able to get it during a summer sale, or Sonic Birthday Sale. @Jack_Goetz. Good riddance to the option “Nothing for me this week”. More likely to get round to picking up STRIKERS 1945 II or another ACA Neo Geo game on my wish list than anything here. That's cool. Can't afford to have games I want every week, lol! I've played AeternoBlade on 3DS. It's rather meh. It's not terrible but it's nothing to write home about when you're on the frontlines in the 7 Years War. @Folkloner thanks very much for this, appreciate it. What those games are visual novel. Turbografx lives into 2018! Even if one of those games is Japanese only, little problematic being an RPG, lol. Image Fight II?! One of the more obscure PC Engine games and hard to find on eBay? Just plugged the dormant Wii U controller back in and took the HD cable out of the Switch. Viva Wii U! Skyforce, Steamworld Dig and Dandara for me. Been playing Skyforce all morning...I cant put it down! Can't believe Dandara isn't getting any hype, looks fantastic! Especially at that price when you onsider Celeste was £18 and Owl Boy £19. @Jack_Goetz totally agree bring back nothing for me option!